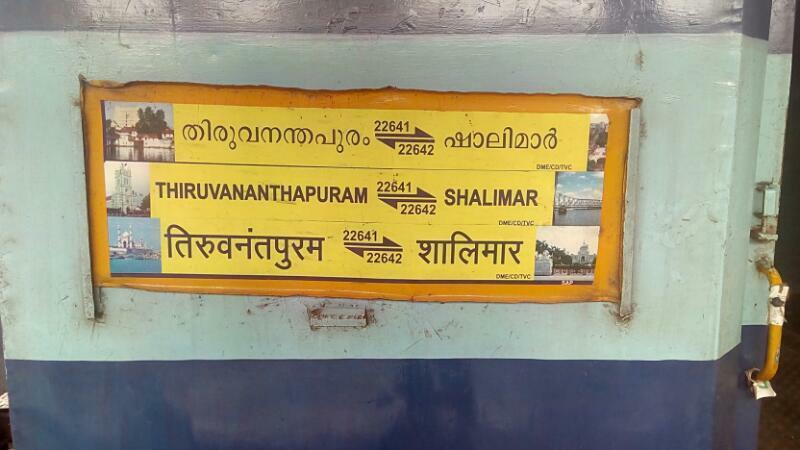 Train No.22641 / 22642 Thiruvananthapuram Central – Shalimar – Thiruvananthapuram Central bi-weekly express trains will be permanently augmented by one AC 3-tier coach ex. Thiruvananthapuram Central from 10.01.2019 and ex. Shalimar from 13.01.2019. The Shortest Route between Kolkata Shalimar and Thiruvananthapuram Ctrl is 128 km (5%) shorter.